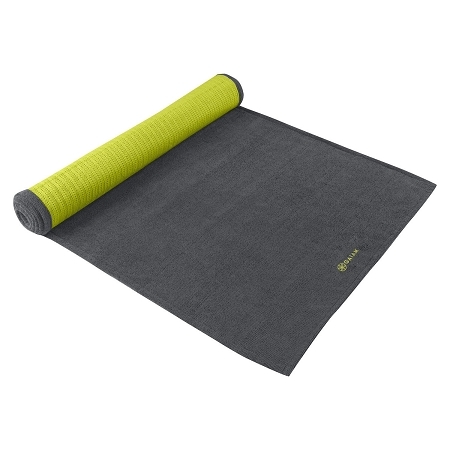 This super grippy towel will feel like an extension of your mat and stay out of your way during intense flows and poses. Created with an absorbent microfiber top layer with a durable non-slip backing made to keep your towel in place. Ideal for hot yoga and more traditional practices. Sized to fit directly on top of your mat. Measurements: 68"L x 24"W. Materials: 78% Polyester, 22% Nylon. Care Instructions: Machine wash separately in cold water. Dry flat.